Swimmer Zane Grothe, a 2010 Boulder City High School graduate, took home a pair of top five finishes at the 2018 FINA World Swimming Championships Dec. 11-16 in Hangzhou, China. 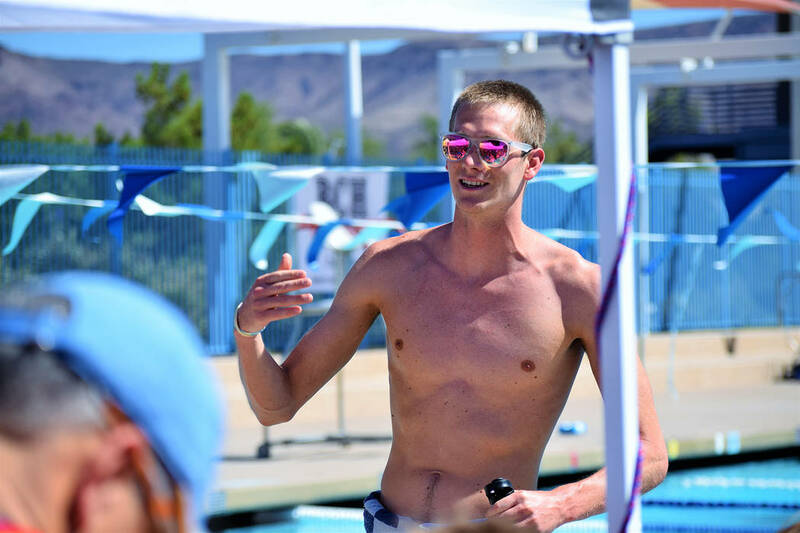 Zane Grothe, seen in September at a clinic for the Boulder City-Henderson Heatwave, placed in the top five in two events at the 2018 FINA World Swimming Championships Dec. 11-16 in Hangzhou, China. Capping off a terrific 2018 swimming campaign, Grothe placed fourth in the 400-meter freestyle with a time of 3:39.73, while placing fifth in the 1500-meter freestyle with a time of 14:29.03. Lithuanian swimmer Danas Rapsys placed first in the 400-meter freestyle with a time of 3:36.65, while Ukraine’s Myhailo Romanchuk placed first in the 1500-meter freestyle with a time of 14:21.50. Signing a new endorsement contract with Dolfin Swimwear, Grothe set a Phillips 66 National Championships meet record in the 800-meter freestyle July 29 in Irvine, California, finishing with a time of 7:44.57. In August, he set a meet record at the Pan Pacific Swimming Championships, finishing the 800-meter in 7:43.74 at the at the Tokyo Tatsumi International Swimming Center in Tokyo.